Launched in December 2014, the Immigrant Investor Venture Capital Pilot Program offers permanent residency in Canada to qualified high-net-worth individuals and families worldwide. The brand new Canada investment immigration program is designed to boost the local economy by attracting foreign direct investment in exchange for Canadian residency. Prospective immigrants who wish to participate in the IIVC Pilot Program must have a legally obtained net worth of at least CAD $10 million and must be willing to invest CAD $2 million in Canada for a period of 15 years. The main focus of the venture capital immigration program is to strengthen the Canadian economy by attracting foreign investment to the country. To that end, standards of the investment immigration program are highly-selective. To qualify, the following IIVC Pilot Program requirements must be satisfied. UPDATE: The IIVC Program is now closed! The Quebec Investor Program is currently the only Canada Investor Visa available. Candidates are not required to invest the CAD $2 million at the time of their application submission to Immigration Canada. Only after an applicant is approved into the Immigrant Investor Venture Capital Pilot Program will he or she be required to make the financial investment. Once approved in principle, the investment must then be made in accordance with the program's terms and conditions in order for the application to be finalized and a Canada Investor Visa issued. Each CAD $2 million investment is placed in the Immigrant Investor Venture Capital Fund which is managed by BDC Capital of the Business Development Bank of Canada (BDC). This is an at-risk investment, meaning the investment is not guaranteed by the Government of Canada or the Business Development Bank of Canada. The investment is committed for approximately 15 years, and the capital will be distributed by up to five fund managers from the investment arm of BDC. These funds will be invested in innovative Canadian companies outside of Quebec. How Does the Venture Capital Immigration Program Work? Citizenship and Immigration Canada (CIC) will accept up to 60 complete applications during the IIVC Pilot Program's initial intake period. To be deemed complete, an application must pass two stages of review. Once 60 applications are accepted, an additional 60 applications that pass the first stage review may be kept on a waiting list. The first stage review consists of verifying whether or not the application was completed properly. To be considered complete, an Immigrant Investor Venture Capital application must be filled out correctly and contain every single required document. Applicants considered for the second stage review will then be contacted by CIC with follow-up instructions. This can include submitting additional supporting documentation such as a due diligence report. A Canada investor immigration due diligence report provides details about past business or investment experience, source of funds, and personal net worth. These reports are required to ensure applicants meet the minimum net worth requirement of CAD $10 million through legit investment and business activity. Applicants also have to pass medical, criminal, and security checks in order to obtain Canadian permanent residency. Once the Immigrant Investor Venture Capital Pilot Program application is in processing, applicants can expect notice within six months of the decision by Immigration Canada to either accept the prospective immigrant or place him or her on the waiting list. From 1986 until 2012, there was a different Canada investment immigration program offered by the Federal Government. The Federal Immigrant Investor Program offered Canadian permanent residency to business professionals in exchange for a 5-year, CAD $800,000 loan to the Government. The Canada Immigrant Investor Program was so popular, that when it was put on hold in 2012 there were nearly 60,000 backlogged applications pending review. The investor immigration program was formally canceled in 2014, and shortly after the new Canada Immigrant Investor Venture Capital Pilot Program was announced. Critics of the newest Immigrant Investor Venture Capital Program say the scheme is destined for failure. They believe immigrants are deterred by the 15-year investment, instead preferring other possibilities for immigration by investment such as the Australian Significant Investor Visa, USA EB5 Visa, UK Tier 1 Investor Visa, and the Quebec Investor Program which has similar investment requirements as the former Canada Immigrant Investor Program. This being said, it is possible for participants in the Immigrant Investor Venture Capital Pilot Program to receive some of their investment back before the 15 years is up. Depending on the performance of the fund, IIVC proceeds may be released over time, not just at the conclusion of the investment term. Canadian Prime Minister Justin Trudeau holds strong expectations for the future of Canada. With a focus on innovative leadership, Trudeau hopes to appeal to wealthy international entrepreneurs, stating that "Canadians understand that confident countries invest in their future." 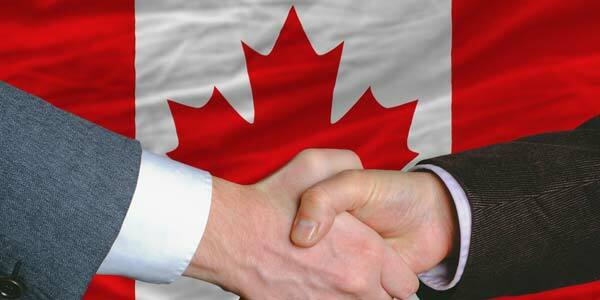 Immigration to Canada offers many opportunities for business professionals from across the globe. Canada leads the G7 countries for economic growth, offers a highly educated workforce, low business taxes, and one of the soundest banking systems in the world. Canada also has clean air and water, low crime rates, fantastic quality of life, and one of the most efficient immigration systems that is a model for many other developed countries. Canada has consistently been voted as the best place in the world to live by the United Nations. Not only is the country beautiful, but it also offers much to its residents including free education and medical care, minimal governmental business regulations, and enhanced opportunities for those seeking advancement in the Information Technology sector - to name a few. Canada also offers dual citizenship, which provides numerous added benefits to Canadian investor immigration participants. If you are a wealthy individual looking to make a strategic investment in a country that offers promise, the Canada Immigrant Investor Venture Capital (IIVC) Pilot Program may be right for you. Questions about the Canada Immigrant Investor Venture Capital Pilot Program? Contact us for a private consultation.